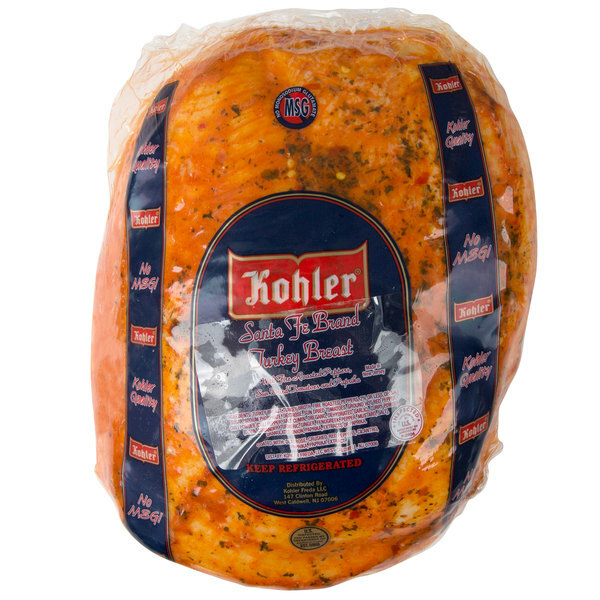 Experience the flavor of the southwest in your sandwiches with this Kohler 5 lb. santa fe turkey breast. 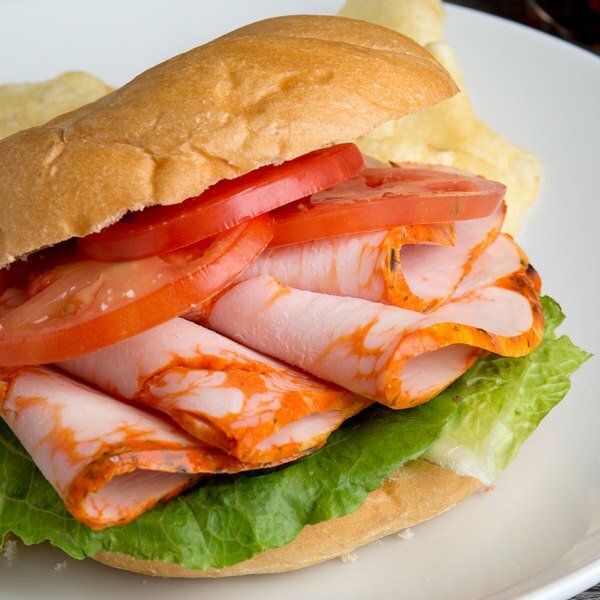 This turkey breast is coated with crushed red pepper, cilantro, and paprika for a bold, well-rounded flavor that is a great addition to any deli counter. Use this turkey breast for slicing by the pound for customers, or to provide zesty to-go sandwiches, like a southwest sandwich on multigrain bread with lettuce, colby jack cheese, avocado, and chipotle aioli, for your lunch rush. Or, incorporate this meat onto a deli tray, layered with smoked ham, and oven roasted chicken alongside colby jack and pepper jack cheese, for a great party platter option for your customers' events. This turkey breast is cured with turkey broth, fire roasted red peppers, sun dried tomatoes, and chili powder to achieve a consistent, full-bodied flavor that will delight your customers' taste buds. It contains no MSG, and is a low calorie, low fat, lean protein option for your customers. If serving the meat cold, simply slice to the desired thickness!